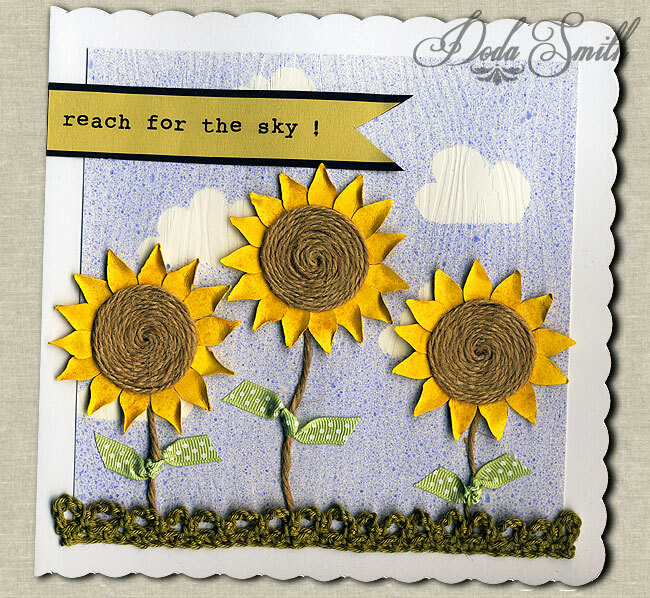 I had a little play with some jute garden twine to make the centres for these cheery sunflowers. I love using materials from around the home, don't you? I used a circle of card and glued the string to the centre, allowing it to dry for a few minutes before applying more glue and swirling the string around into a neat coil. The petals were made with one of the punches from the Punch and Stamp Peruvian Lily/Evening Primrose/Corncockle set. I used more of the jute for the stems and added little ribbon leaves. I had fun with my background too. 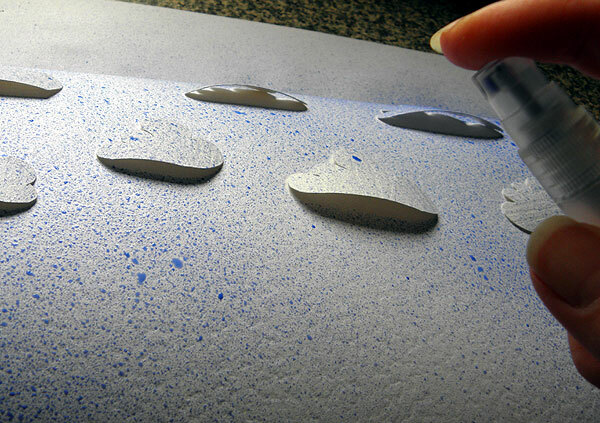 I cut out some little cloud shapes and arranged them on some white card. I sprayed them with a mixture of watercolour paint and water. 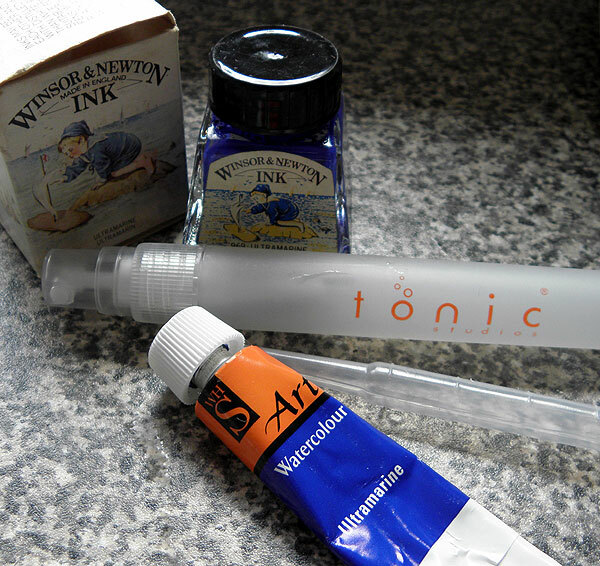 (I was going to use that cute ink in the picture but I've had it for over 30 years and try as I might I could not get the lid to budge!) If you're going to make your own spray paint then do remember to rinse the spray bottle out well afterwards- either that or get a few extra bottles and make yourself a set of colours. Shake well before use ! I finished the card off with a little hand crocheted trim. I was originally going to put the trim loop side down, but at the suggestion of my arty 6 year old, I stuck it the other way around and I agree, it looks better that way.